Can AI give the MVNO business model wings? Despite the success of the mobile virtual network operator (MVNO) business model, many MVNOs struggle financially and many fail after their much-hyped launch. Can AI be the technology enabler needed to drive the MVNO business model? Artificial Intelligence (AI) is not a new technology. Over the past 3-5 years, however, it has rapidly become a mainstream technology enabler, and has been adopted in practically all areas of the society, business and verticals. Although many applications are still mere pilots or pre-commercial concept proofs, instead of full-scale deployments, it is clear that the plans and blueprints about how the AI is going to be applied are realistic and well-developed in each sector. According to Gartner, the analyst firm, AI is at the peak of the technology hype curve, and quickly on its way down to the bottom of the curve. Many technologies at the bottom of the Gartner hype curve will come up and strive. AI is such a fundamental technology enabler, that even if the hype dies off soon, AI in itself won’t. It will impact on people and businesses in all areas of societies and verticals. Why should an MVNO care about AI? MVNOs are known to have slim organizations, a small network and slender IT infrastructures; so the technology investments in MVNO businesses are relatively small. From that perspective, one might not think that investing in an AI-based application should be the first priority of a mainstream MVNO. However, when considering the nature of MVNO business, AI suddenly starts to make sense. The MVNO market is growing five times faster than the telecom operator market. The MVNO sector has been the fastest growing field in the telecom business for a long time. While many MVNOs fail some of them surprisingly fast; many extraordinary MVNOs grow to become sustainable, and even reach global scale. There are those MVNOs who grow to make a successful exit. Although there are several MVNO market strategies and operational models, success in general requires operating on tight margins, while often focusing on serving narrow customer segments on highly-competed markets where customer loyalty is fickle and opportunities pass by quickly. In day-to-day practice, a MVNO must seize all opportunities that arise quickly - from getting a new subscriber activated, to selling an add-on service or a bigger bundle, convincing a customer to top-up, or by helping a customer to solve an handset setup problem. MVNOs must make the money out of thin margins. They operate on lean organizations, and this means deploying more online and self-care processes, adopting predictive problem-solving and more data-driven automated processes. The window of opportunity is short and MVNOs must be able to monetize their systems and brands quickly and efficiently. In the future, this will require the ability to identify customer needs by using real-time data analytics and predicting customer behaviour though weak signals. As the purchase decision moment passes quickly, often millions of them every day, this means that offers must be automatically delivered to customers at the right moment. In conclusion, in the MVNO business, an ordinary performance is not enough to succeed. It requires speed, lean operation and efficient monetization capabilities. If these are the factors to help an MVNO become extraordinary and enable it to succeed in the market, it will not be done by people as they are not able to do that kind of work. People cannot process all that data, identify all possible sales opportunities and engage with the customers at the moment when they might be ready to buy, or when they need help. This winning formula needs a combination of real-time big data analytics, machine learning and automated, data-driven processes. Artificial Intelligence will become a must-have technology for MVNOs. AI-based applications nowadays require new talent, large investments and a long development time, which makes it an unrealistic opportunity for many MVNOs. Luckily, technology is rapidly evolving in this day and age. In the future, deploying an AI-based application will be easier; probably comparable to setting up a chatbot today. AI technology will be simplified in general. Modeling, statistical processing and programming is becoming easier and computing can be bought ad-hoc from the Cloud. So, AI-based applications are likely to become a realistic technology enabler for any MVNO in the near future. Perhaps then AI will help MVNOs to increase customer retention time by predicting churning customers and preventing them from leaving the service. AI will then help MVNOs to boost add-on service sales by predicting customers’ needs and delivering relevant offers at the right moment to them. 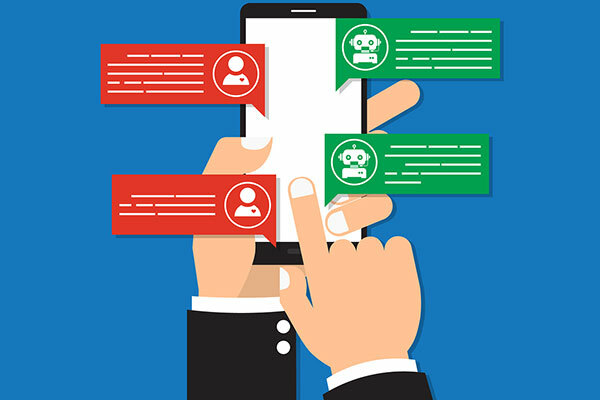 AI can then help MVNOs to grow the customer’s life-time value by getting to know individual customers better over time, and helping them before a problem arises, or by activating a bigger bundle just when it is actually needed! Sicap is showcasing its MVNO Cloud solutions including an AI-based Churn Prevention solution at the MVNOs World Congress on April 23-26 in Madrid, Spain. Eric Vidal is the chief technology officer at Sicap, a global solution provider for MVNOs and network operators.